Deciding the Best ADHD Treatment Plan for Your Child | Navigating ADHD Inc.
Once a child receives a diagnosis of ADHD, parents face the monumental question — how can I help my child? Understanding the diagnosis of ADHD can be overwhelming, and deciding the best treatment plan for your child can leave parents feeling perplexed and alone. How will my child react to medication? Will I be able to handle the time and resources needed to help my child? What strategies or therapies should I consider for my child? These are just a few of the questions that cross parent’s minds leaving them with more questions than answers. However, just as every child is unique, ADHD treatment today has broadened to include a variety of treatments that can adapt to the needs of a child and or family and be integrated into a larger plan for treatment. Knowing what to ask is just as important as knowing which treatment plan is best. Whether you are the parent of a child newly diagnosed with ADHD, or a parent who is considering modifying your child’s treatment plan, the following tips will provide insight into the elements that go into a treatment plan for your child. If you are considering medication for your child, speak with your child’s physician and gain a firm understanding of the expectations and more importantly, the side effects before deciding to place your child on prescribed medication. If your child has side effects, your doctor may need to adjust the dosage, or decide to try a different medication. Also, keep a daily journal to record any side effects or differences you see in your child when he’s taking medication. 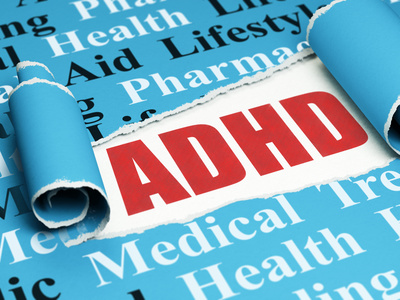 Medication alone is not a cure for ADHD but can be beneficial in conjunction with other treatments. The best things in life are free. It has been clinically proven that spending time in nature can help lessen the symptoms of ADHD in children. Playing outside, doing outdoor activities for at least 30 minutes can have a noticeable impact for your child. Physical activity increases dopamine, serotonin in the brain which are directly related to focus attention. Other activities such as yoga, gymnastics, dance are all proven to be beneficial as they require awareness and focus on the body’s movements. In fact, sports can be a healthy outlet for children diagnosed with ADHD. USA Olympic Gold Medalists Simone Biles and Michael Phelps have both been diagnosed with ADHD. 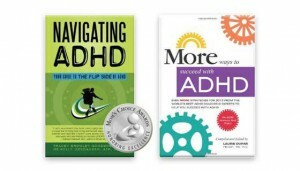 Their stories are examples of how children can overcome the symptoms of ADHD to live successful lives. One of the biggest struggles parents can face is getting their child into a routine. Whether it is doing homework, planning for the next day or going to bed — Children with ADHD, have a lot of energy swirling in their brains. And having the tools to help bring structure and regularity is key to helping your child to succeed. For example, the following tips can help with getting your child to bed. * Establish a routine at bed time such as putting toys away, reading a book before going to bed. * Put all electronics away. TV, computer, iPad, etc. should be put away well before bedtime. * Set a regular time for bedtime. And it is very important to keep this time seven days a week. Also, it is important to note that if your child is on medication, a side effect can be difficulty getting to sleep. Consult your physician to help. with ADHD. These foods help produce neurotransmitters in the brain, which in turn help parts of the brain communicate with each other. Protein can also prevent surges in blood sugar, which can increase hyperactivity. Often the first step for parents is to engage an ADHD professional to help with an accurate diagnosis of ADHD. Professionals can continue to serve as a resource and support for parents. ADHD professionals can help you sort everything out and provide a unique approach and expertise in helping blend a multi-faceted approach to treatment which addresses the behavioral, organizational, and executive functioning needs of those affected by ADHD. ADHD professionals can include a coach to help with developing effective strategies ranging from impulse control to academic success, an Art Therapist or Counselor to address any social/emotional concerns, a neuropsychologist who can do extensive testing to determine what the exact challenges are, a psychiatrist who specializes in ADHD medication, an educational advocate who can help make sure the right supports are in place at school, a nutritionist and a SIPT Certified OT if there are any suspicions that there could be issues with sensory integration and processing. The list doesn’t stop here some have found success through chiropractic work, biofeedback and much more. Whether you are at the beginning of an ADHD diagnosis for your child or you are interested in modifying your child’s current treatment plan. Using the above tips as a starting point can help you begin on a path to successfully treating your child’s ADHD. For more information visit our website for resources, helpful tips and information.